So today I go to the Good Will store and so I look and the first thing I spot are watches. Normally they are out of box and no battery but these are in the sealed box and probably not activated due to not being opened! The second item came to me as a surprise. 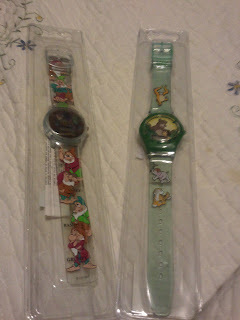 I didn't know whether it was from Disney World or not due to lack of label. But it turns out it is considered "Vintage." 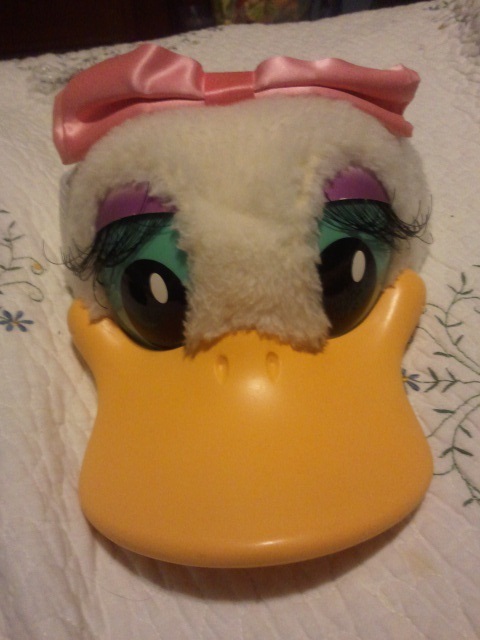 It's a Daisy Duck Hat. The newer versions have a soft beak and soft eyes and the eyelashes are sewn, and not plastic. Both items are going on ebay...So if you're interested you can check us out on ebay under rphs4267. We have a 100% feedback and normally there are other things on ebay for sale. hehehe.